I'm always inspired when I watch TED Talks. They are so provocative and encourage me to look at ideas through a new lens. Almost always I walk away with a new perspective and some nugget of learning. Why not incorporate that culture of thought exploration into the classroom? 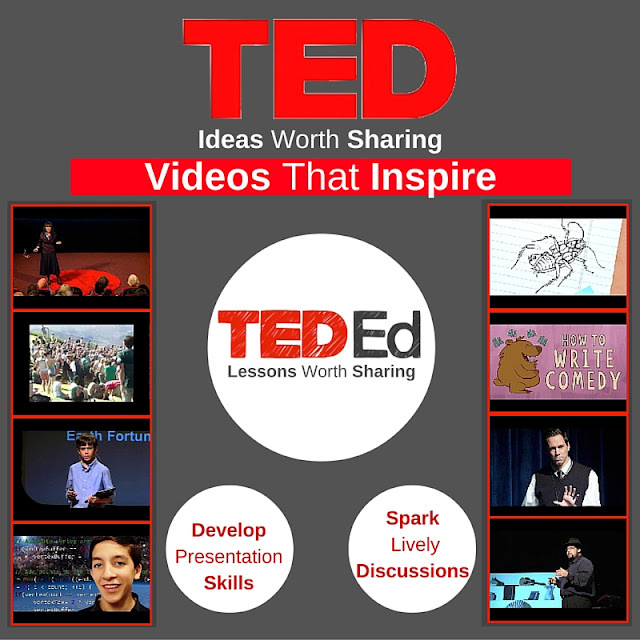 The TED Ed website is a treasure trove of valuable resources that leverage short, high-interest TED Talks and other content-related videos to examine, explore, and analyze. It also allows teachers to create their own TED Lessons and walks them through the process. Beyond just using these videos, I believe it's time to start teaching our students how they can improve their presentation skills and I can't think of a better framework than following the TED Talk style of presentation. Click here to view a fabulous project developed by Kate Petty to accomplish this task. An adapted version of this can be found here by Marina Boeder. Maybe our math students might like to hear Dan Meyer discuss the makeover of math class. That, coupled with Carol Dweck's video might encourage some "non-math" students to take a second look at the possibilities available in that content area...It's just a thought...check this video out. So as you begin to think about ways to integrate TED Talks into your curriculum, expand your thinking beyond just observing or consuming these resources, and look for ways to get your students diving in and integrating these skills needed to pull off a TED-style presentation. The embedded standards that would be covered in doing so could be mind-blowing...and you might just discover your own version of Thomas Suarez sitting in your classroom! These are just a few of my ideas I thought were worth sharing...what are yours? Well, we've been back from TCEA for a couple of weeks now and the dust has finally settled. In reflecting on my time spent there, to me, what seemed to be trending: Google, Makerspace, and Virtual Reality, so I decided to post some tech tools every teacher needs to take a look at in 2016. Some have been around a while, some are new, and some just need to be viewed in a new way. Noisli: Who can resist a website whose goal is to boost focus and productivity? I love this site! It has many different ambient noises, allows the user to create combinations (that you can save if find some you love) and even has a built in timer! This site could be very beneficial in a classroom when students are working independently, writing, researching, brainstorming, collaborating...the possibilities are endless. Quizziz: I've shared this site multiple times before with our teachers, but I'm not sure anyone is listening. This site has the cool factor of Kahoot, but I kind of like it better. And I'm getting a little anxious that the day will arrive when our students are "Kahooted out"; don't let that happen! So check out this formative assessment site. What I like about this site is the students aren't just slamming down answers to beat the others playing. They still compete against their classmates, but they're working independently so they have to really read the questions and potential answers. 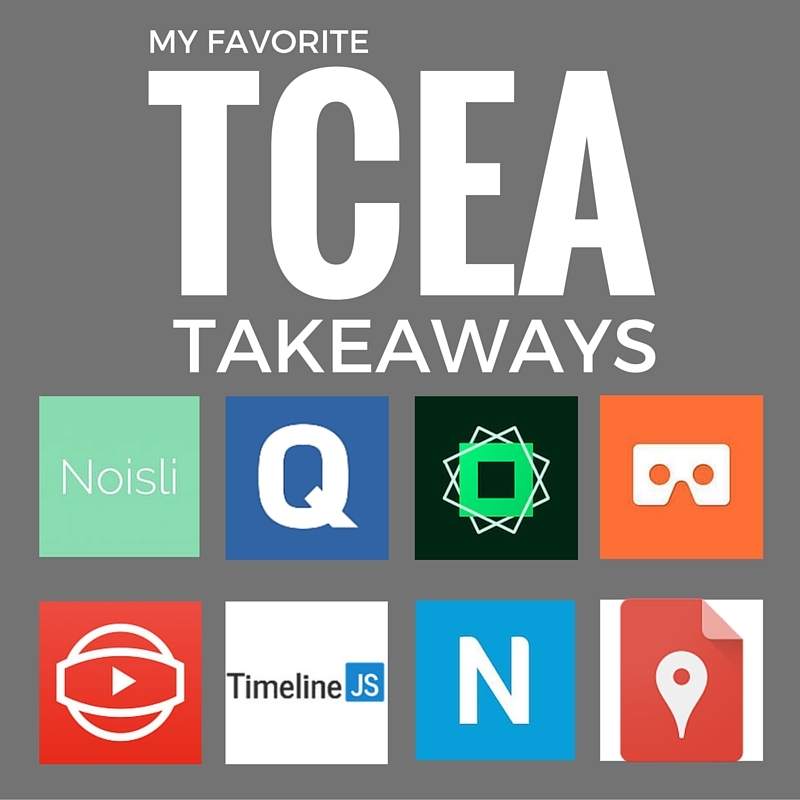 Adobe Post: Last year at TCEA, I discovered all these incredible Adobe mobile apps that were free and incredible. In fact, I have a folder on my iPad and iPhone JUST for my Adobe apps. Well, Adobe keeps adding to the collection! This app is great and so easy to use. Need a quick, visually appealing graphic on the fly? Adobe Post is the key. Create engaging writing prompts, bell-ringers, exit tickets and do it quickly! The app comes with many templates, allows you to snap your own photos or use theirs. At this time, I couldn't find an Android version, but I'd keep checking. Google Cardboard: While Google for Education was definitely trending at TCEA 2016, Google Cardboard and anything related to virtual reality was "more than trending". These inexpensive little devices can transport students around the world and literally allow students to experience their learning firsthand. The resources for these devices are gaining in abundance daily. Click here to check out Jaime Donally's Symbaloo of Google Cardboard resources, but I will tell you, this is the tip of the iceberg! Also, check out Two Guys and Some iPad's latest post on free apps for Google Cardboard. Can I hear an OMG? 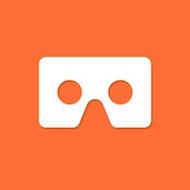 #360Video Channel: Don't have any Google Cardboard yet? No problem...check out the YouTube 360º Channel for lots of 360º videos. It's not quite the same, but it's pretty cool nonetheless. 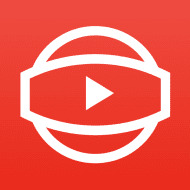 There is also an iOS app, In360Tube. Click here for the Android version. 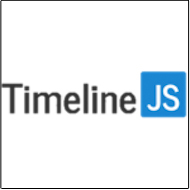 Timeline JS: There are numerous multimedia timelines out there, but most are a little cumbersome to use. This site uses a Google Sheets template. Everything is already set up; you just enter the data into the spreadsheet. The only thing students need to do is be careful not to mess with the template and it produces a very slick looking timeline. Newsela: This is another website we learned about last year, but it has really gained a lot of buzz...especially since the development of expository writing skills has become such a focus. This website provides very visually engaging, high-interest news articles. There are text sets categorized by state, further categorized by grade levels, standards, and content areas. Couple this with Chrome extensions like Scrible, ReadWrite or Marker.to and you don't even need paper to annotate the text! This site is free and you get a lot in the free version. You can set up classes and enter your students. You can assign articles and even give quizzes, but you can't monitor or collect any data. For that you will need a pro account and be warned...the pro version is pretty expensive. 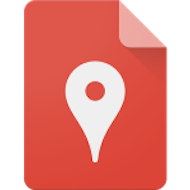 Google My Maps: While this Google app isn't new, it's become so easy to use...students can now add data, photos, calculate distance, collaborate and share these maps. They can access them directly in their Google Drive. I see so many uses for this app. Have student plot battles in order and take notes directly on their maps. They can plot out the progression of a novel with reflection/reaction responses written directly on their map. A whole class could collaborate on one map, adding content simultaneously in pretty much any content area. Have any favorites we need to try in 2016? Feel free to contribute to the conversation! Our district has Macbooks, iPads, and Chromebooks and our teachers would say, not enough of any! As a result, I decided to create an infographic detailing potential apps to use for different types of content creation, separated by each device. In the past, students have been really frustrated in their use of the Chromebooks because it looked like a Macbook, but it didn't act like a Macbook. At the beginning of the year, I decided to do a student orientation with my assigned campus' student body on making the most of the Chromebooks. Now it seems to be their preferred device...but that wasn't the case prior to the orientation! And I certainly don't attribute that to my presentation skills! They love the few extensions I had them add: Cite This Page for Me, AdBlockPro, Web of Trust, and Grammarly. Now don't get me wrong, I don't want anyone taking my Macbook from me...and I use Chrome on my Macbook so I have access to all those extensions. So why do they prefer the Chromebooks? It's pretty simple...they love that the Chromebooks stay updated. And...they love the speed at bootup! Now to be fair, many of our Macbooks are old...But I think the main reason they love the Chromebooks...and I believe this is crucial to loving a Chromebook...they are proficient in Google Drive. They are rapidly becoming the cloud computing generation! They love the fact that the Chromebook doesn't hold their projects hostage to one device and that they can truly collaborate with classmates because they are working in the cloud and their teachers routinely check Revision History to monitor progress. Below is the infographic I created, broken down by task and device. Please note, these tasks are not limited to, but only suggestions, due to their ease of use.